Historically, vitamin D has been associated with the regulation of bone metabolism. However, increasing evidence demonstrates a strong association between vitamin D signaling and many biological processes that regulate immune responses. The discovery of the vitamin D receptor in multiple immune cell lineages, such as monocytes, dendritic cells, and activated T cells credits vitamin D with a novel role in modulating immunological functions and its subsequent role in the development or prevention of autoimmune diseases. 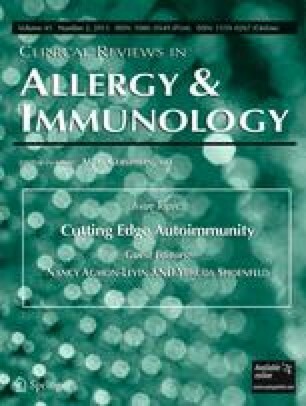 In this review we, discuss five major areas in vitamin D biology of high immunological significance: (1) the metabolism of vitamin D; (2) the significance of vitamin D receptor polymorphisms in autoimmune diseases, such as multiple sclerosis, type 1 diabetes mellitus, and systemic lupus erythematosus; (3) vitamin D receptor transcriptional regulation of immune cell lineages, including Th1, Th17, Th2, regulatory T, and natural killer T cells; (4) the prevalence of vitamin D insufficiency/deficiency in patients with multiple sclerosis, type 1 diabetes mellitus, and systemic lupus erythematosus; and finally, (5) the therapeutic effects of vitamin D supplementation on disease severity and progression.